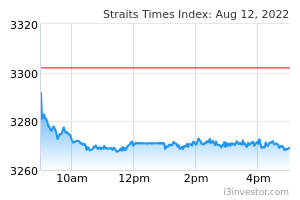 Keep BUY and SGD0.72 Target Price, 26% upside plus 7% FY19F yield. APAC Realty’s 4Q18 and FY18 results are in line. It remains a good proxy to the demand for residential property in Singapore, which is expected to remain resilient on a strong pipeline of new launches (~20,000 units) in 2019. The recent move to strengthen its overseas presence should help in earnings diversification and bring benefits in the long term. While the stock has rebounded from lows since the start of the year (+28%), valuations are still attractive, at 9x FY19F P/E. We are one of two brokers covering this stock. 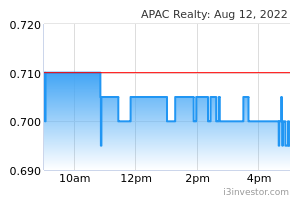 For FY18, APAC REALTY LIMITED (SGX:CLN) declared total DPS of SGD0.045 vs our estimate of SGD0.04. This translates into 7% yield and payout ratio of 66%. Management intends to maintain its dividend policy of paying out at least 50% of net profits, with room for upside. Despite slower take-up rates in recent launches, we expect new launch volumes to stay similar to that of 2018. This is mainly due to a strong pipeline of ~50 residential projects ( > 20,000 units) that are expected to be launched in 2019, ie >2x that of last year. APAC Realty has secured agent roles for 46 projects (~20,000 units). On the private resale market, we expect volumes to stabilise as more resale units should be made available in the market, with the en bloc market coming to a standstill. The Housing & Development Board resale & rental market segment should see a pick-up in activity this year, as ~30,000 units are nearing their minimum occupation period of five years, after which they become eligible for sale. APAC Realty’s ERA brand had an overall market share of 36.4% (FY17:37.9%) of total residential transaction value, based on its internal estimate. In new launches, it still commands a healthy market share of 40.7% in transaction value (FY17:39.4%), while the private resale market share stood at 37.2% (FY17: 38.8%). ERA’s current agent count increased to 6,600, 12% higher vs the beginning of last year. This came after management acquired residential agents from CBRE Realty Associates (150 agents) and HSR International Realtors (300). Management noted that it will continue to focus its efforts to beef up agent numbers and increase productivity this year, amid stiff market conditions. APAC Realty also strengthened its overseas presence by making a direct foray into Indonesia, Thailand, and China last year by acquisition of franchises. The contributions are likely to be small to begin with (guidance: ~SGD0.5m in net profit), but are likely to see an exponential growth ahead. Currently, we have not factored overseas earnings contribution rates, as we await further details.